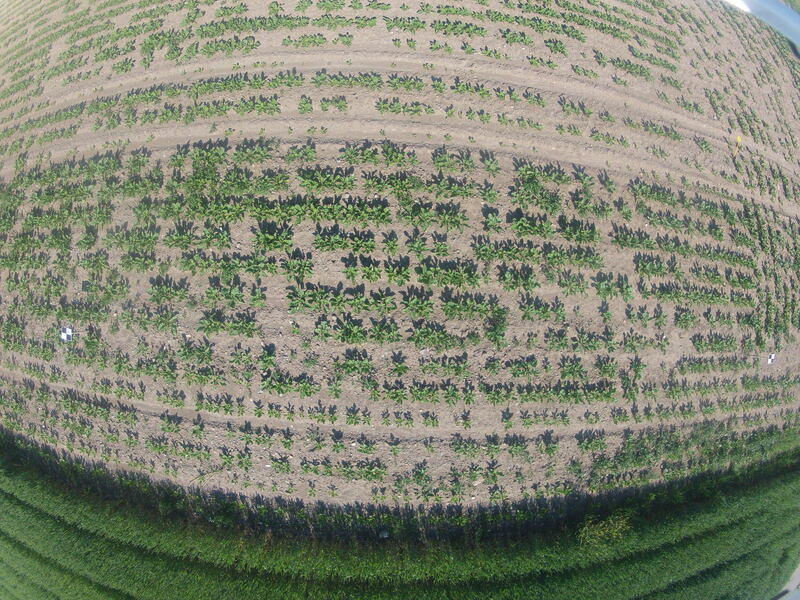 For the first field (A), we recorded the datasets across four sessions using a DJI MATRICE 100 UAV. The flight altitude for each session is between 8 m to 12 m above the ground. 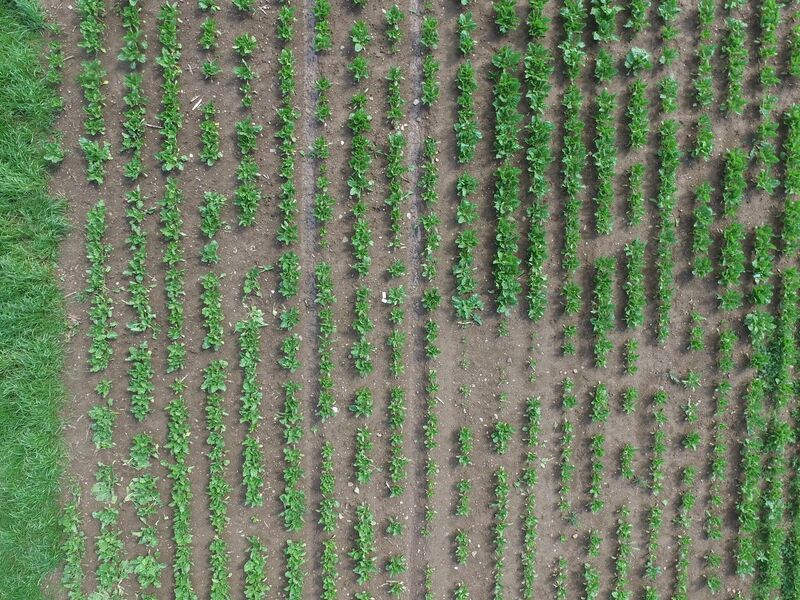 We recorded the images using the Zenmuse X3 camera with an image resolution of 4000 × 2250 pixels having a ground sampling distance of 4 mm per pixel at a height of 10 m.
For the second field (B), we used a DJI PHANTOM 4 UAV across two sessions recorded almost one month apart. 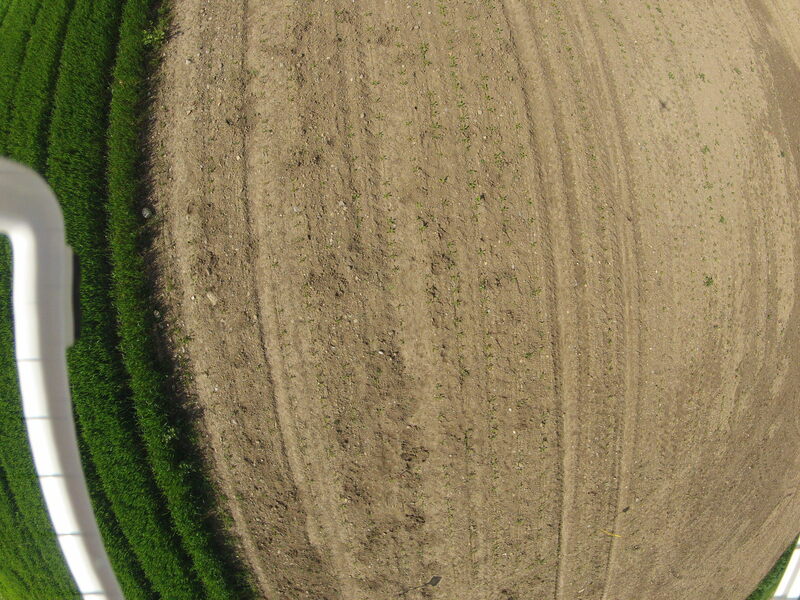 The UAV was equipped with a GoPro camera set up to take an image every second at a resolution of 3840 × 2880. 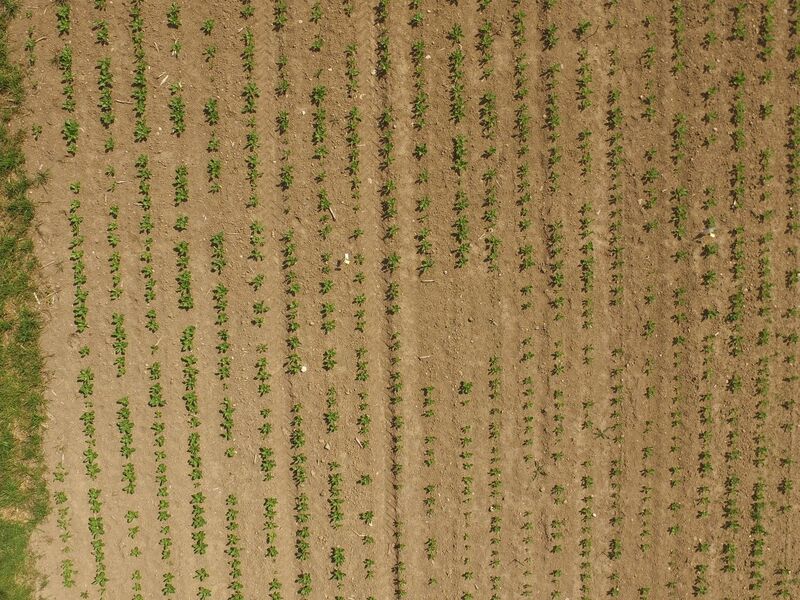 The flight altitude for the two sessions varied between 10 m and 18 m above the ground having a ground sampling distance of 9 mm per pixel at 15 m height.The average plant sizes in the fields range from 5 cm to 20 cm in diameter across the crop season. 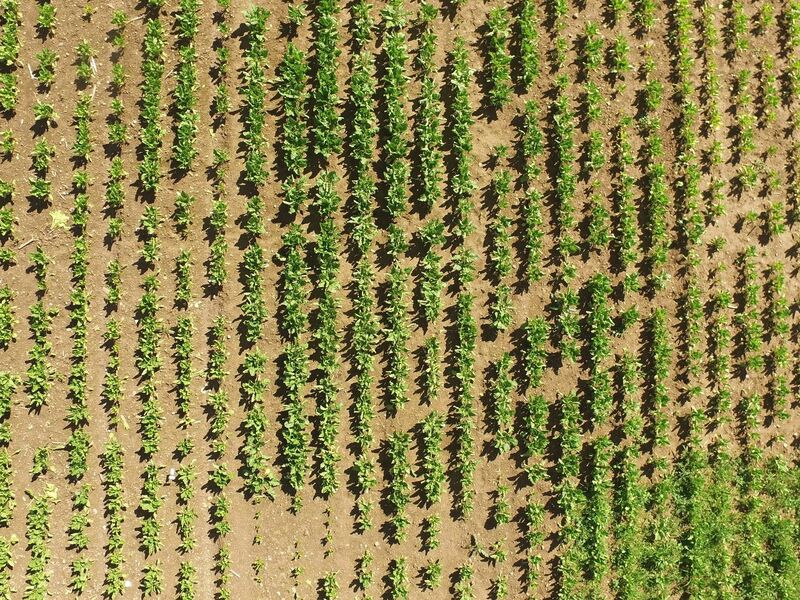 We thank Raghav Khanna, Frank Liebisch for assisting with the data acquisition campaign and ETH Zurich Crop Science group for providing access to the fields.